After years of playing piano, violin and drums, Sven Prinsen came in touch with the House beat. The soundscapes of this type of music just were so different and so amazing, it often triggered Sven to listen to underground radioshows. In 1996 he started buying records and developed his mixing and musical skills. Soon he began playing for audiences in small clubs in Haarlem. One of his first residencies was and still is at Club Stalker (Haarlem). Club Stalker has always been an inspiring club where new styles of dance music can be heard in its early beginning, and where special foreign djs can be heard. 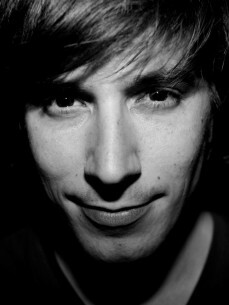 In 2005 Sven started organising his own night at Club Stalker together with friend and DJ Gijs Tettero, called 'Vastgoed', and later on he organised 'Haarlem Beeft'. In Amsterdam Sven organizes cultural parties named Club Cult. Writers, poets, actors and classical musicians together with djs inspire eachother, creating the unexpected. Sven regularly plays at clubs and venues like Trouw, Melkweg, Paradiso, Westerunie, Doornroosje, Patronaat, Studio 80 and Woodstock69. Festivals he cracked were Lowlands, Rockit, Welcome To The Future, Mysteryland, Lovelandand Amsterdam Open Air. Sven's sound can be best described as a mix of raw house and techno. The term recordfreak suits him well with checking loads of records online and offline every week. His intention is to always create an energetic dance floor and to make clubbing a special experience to people. Besides that Sven spends a lot of his time in the studio, so watch out for his releases this year!